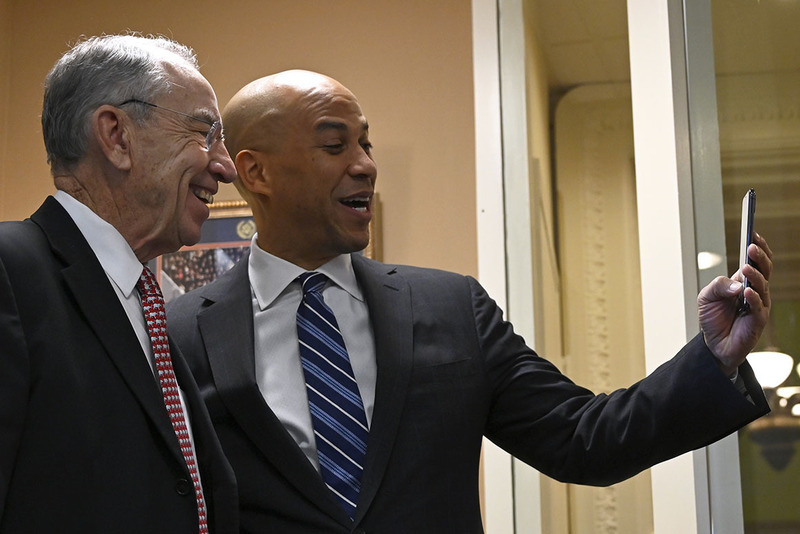 We applaud Congress for passing the FIRST STEP Act, the most significant federal criminal justice reform bill in years. The strong bipartisan support for FIRST STEP’s commonsense measures — rewarding good behavior, supporting people leaving federal prisons so they can successfully reenter society, compassionately releasing the elderly and terminally ill, ending the shackling of pregnant women, and making the Fair Sentencing Act of 2010 retroactive — reflects the American people’s hunger for a fairer and more effective criminal justice system. We agree with our colleagues in the reform community that this bill is aptly named — we hope it is truly only the first step. Much more remains to be done to build a justice system that not only produces better outcomes — stronger public safety, more consistent justice, more equitably-distributed opportunity — but lives up to America’s ideals. Our sleeves are rolled up; we are ready to work even harder, alongside our partners on the left and the right, to achieve these critical goals.